So, back in 2013, there was a contest called PitchWars and I was a proud mentor with a pretty awesome mentee (and I'm not saying that because we happen to share a last name- though no relation). 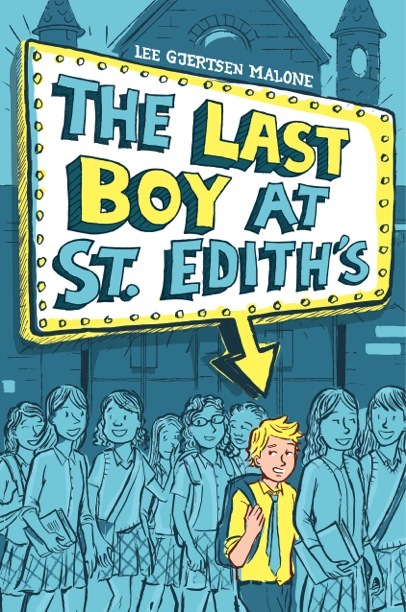 I'm saying that because Lee Gjertsen Malone's manuscript, The Last Boy at St. Edith's, was hilarious and endearing and all of the things you want from a great middle grade read. And now it's a REAL, HONEST TO GOODNESS BOOK, coming out in February with Aladdin/S&S!! I'm so thrilled to have been a (teeny tiny) participant early on in this book's journey and so excited to still be part of things- this time hosting Lee's cover reveal. How adorable is this cover? Seventh grader Jeremy Miner has a girl problem. Or, more accurately, a girls problem. Four hundred and seventy-five of them. That's how many girls attend his school, St. Edith's Academy. Jeremy is the only boy left after the school's brief experimentation in coeducation. And he needs to get out. His mom won't let him transfer, so Jeremy takes matters into his own hands: He's going to get expelled. Together with his best friend, Claudia, Jeremy unleashes a series of hilarious pranks in hopes that he'll get kicked out with minimum damage to his permanent record. But when his stunts start to backfire, Jeremy has to decide whom he's willing to knock down on his way out the door. 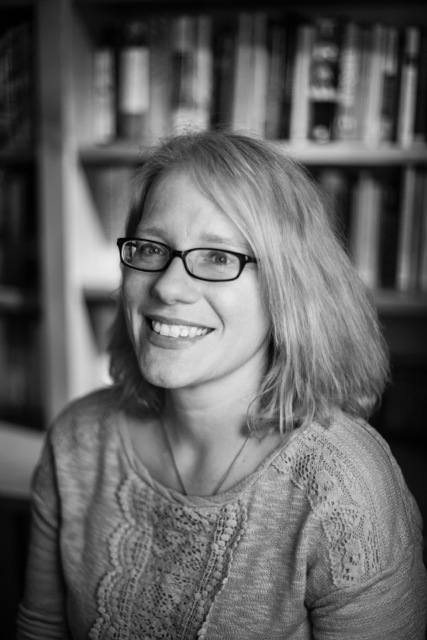 Written with equal parts humor and heart, Lee Gjertsen Malone's debut is all about fitting in, standing out, and finding the place where you belong. I have a lot of favorite things about this cover, but the biggest one is how closely it’s tied into the book. Everything from the color scheme—in St. Edith’s actual school colors -- to the fact that a movie marquee pointing at Jeremy is directly related to the story. I also adore the hand drawn fonts for the title and my name that were created by the artist Paul Hoppe. And you can’t see it here, but the school and the girls continue around the back cover too. I actually had an idea in mind for what a cover might look like but I wanted to keep an open mind, and I’m glad I did, because this cover is way more unique and interesting than anything I would have come up with myself. The Last Boy at St. Edith's is available for pre-order and can also be ordered directly from your indie bookstore. Trust me, you want it. I love this cover so much! I love how the sign is so prominent, and the hand-lettering has so much energy. I also really want to know what's going on in this story, too. Great cover. I imagine kids will love it, too!